Which type of exterior trim best suits your home? Trims can add visual impact to your home. Accentuate the exterior look of your windows by adding either a con toward or flat exterior trim. Which elevations are northern-southern exposure? Choose window sizes and locations that will allow you to get the greatest amount of natural light. Southern exposure typically brings in more sunlight. In order to meet building code, make sure you select window sizes and styles for your bedrooms that are for you and easy escape or rescue route. How can grills enhance a window? Grills can add a great visual appeal to your windows and can help you set a different ambiance in each room. Consider placing grills in the top portion of your windows to add exterior polish and architectural interest to your home without compromising your view. Do your products require a certain performance level for your area? When choosing the fenestration product category and the performance level required for a specific application, you must take into consideration the height of installation, the location and the type of building. 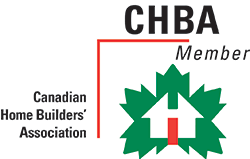 Refer to the building code in force in your region before installing the product. At Kento, our goal is to protect not only our products but your investment as well. This page offers a brief overview of our door and window warranties. Please contact a Kento dealer for more information. 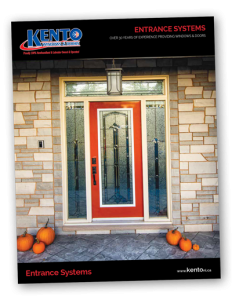 Kento Entrance Doors are manufactured using only top-quality materials and are guaranteed to be free from defects in material and workmanship. Products found to be defective will be repaired or replaced by a similar product. All doors are guaranteed for a period of two years from date of purchase. This warranty is limited to products manufactured by Kento Windows & Doors only. In addition to our two year parts and labour warranty, door panels are guaranteeing. Warranty does not cover the cost of labour. In addition to our two year parts and labour warranty, our Commodity Lite glass units are guaranteed for an additional three years. Our decorative glass units are guaranteed for an additional eight years. This guarantees against lm formation and dust deposits between the two panes of glass due to lack of tightness. We do not warranty breakage. Warranty does not cover cost of labour. 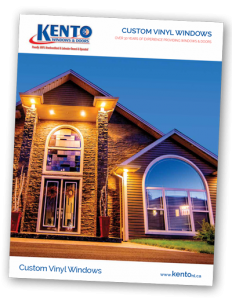 To obtain service, we recommend that you contact your Kento distributor, who will inspect and forward a Service Request Form to Kento Windows & Doors. For product older than two years the labour charge for replacing a sealed unit is $100.00 and for replacing a door slab is $100.00. All rates are subject to change without notice. Certain conditions apply. NOTE: Not following installation instructions will void the door warranty. Covers manufacturer’s defects in the vinyl window frame and sash profile that result in blistering, flaking, peeling, or corroding, subject to the conditions and terms in warranty. Covers manufacturer’s defects resulting in lm formation and dust deposits between the two panes of glass due to lack of tightness, not against glass breakage. Covers manufacturer’s defects. It does not cover wear or discoloration of finish, abuse, misuse, or worn-out products. Labour to repair or replace defective parts outlined in these warranties will be covered for two years. Kento is not liable for defects resulting from improper installation, misuse, neglect, abuse, improper handling, fire, wind, hail, flood, lightning, or other Acts of God. Due to atmospheric conditions we recommend regular cleaning of vinyl and screens with a mild detergent, glass with household glass cleaner, and cleaning of dust and dirt from all hardware and moving parts, along with a light spray of silicone lubricant at least once a year. Areas outside of St. John’s can contact our service department by calling 1-800-563-8887. If you are in the St. John’s area, please call 834-8133.